Just like its big brother, the VLX, the Malibu Wakesetter VTX sports the Illusion G3 gas-spring-assisted wakeboard tower with a pair of Titan slide-off spinner combo racks, making it super-easy to access your board. 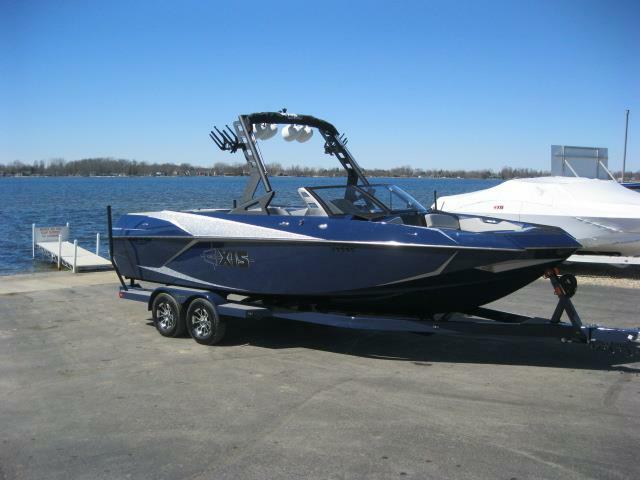 With its fold-down capacity, it’s easy to store the Malibu Wakesetter VTX in your garage. To keep track of your wakes, utilize the Ballast Monitoring System and Precision Pro speed control hosted in a rider preset, controllable through the available MaliView dash system and the new Malibu Touch Command. Options to beef up your package include the patented Power Wedge and auto-wedge feature, as well as the Flo-cam, which allows you to view the rider live or recorded on your MaliView dash system. Or, play an instructional video or movie — play all day.